Samuel Frederic Houston was born in the Germantown section of Philadelphia on August 30, 1866, the son of Henry Howard Houston and Sallie Sherred Bonnell. Henry Howard Houston (1820-1895) was a successful businessman and industrialist, best known as a director of the Pennsylvania Railroad and the developer of the Chestnut Hill neighborhood of Philadelphia. The elder Houston was also a trustee of the University of Pennsylvania and the builder of Houston Hall, America’s first student union. His older son (and Samuel’s older brother), Henry Howard Houston, Jr., graduated from the University of Pennsylvania in 1878 and died in Rome, Italy, a year later. After graduation Samuel Frederic Houston followed in his father’s footsteps. 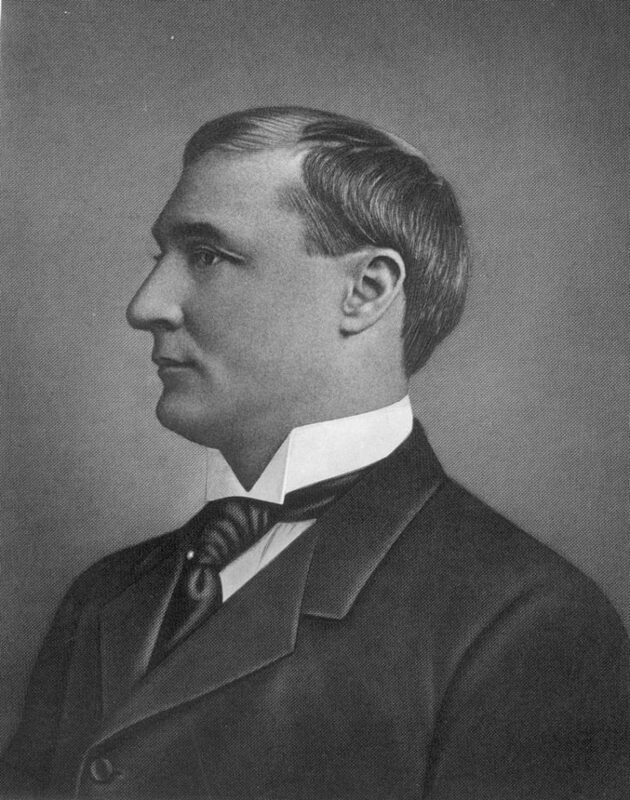 He became president of the Real Estate Trust Company of Philadelphia, president of the former Guaranty Trust and Safe Deposit Company, and chairman of the board of the Pennsylvania Sugar Company. He also engaged in extensive real estate business in the northwest Philadelphia neighborhoods of Chestnut Hill, Mt. Airy, and Roxborough. The Henry Howard Houston Estate Papers help document how his family shaped these communities by buying, renting, and selling existing properties and also by building architect-designed homes. Samuel Houston also served as a director of the Trust Company of North America and of the Pennsylvania Institute for the Deaf and Dumb. He was a member of many clubs and organizations, including the American Economic Association, the Historical Society of Pennsylvania, Pennsylvania Society of the Sons of the Revolution, the Philadelphia Academy of Natural Sciences, St. Andrew’s Society, Germantown and Philadelphia Cricket Clubs, Union League, Philadelphia Corinthian and New York Yacht Clubs, and Penn’s University Club. He was also a very active leader of the Episcopal church at the local, state and national level. Samuel Frederic Houston was elected a trustee of the University of Pennsylvania in 1898 and served until his death. He also served on the boards of the University Museum and the University Christian Association and as president of the General Alumni Society. His alma mater awarded him the Alumni Award of Merit in 1938 and an honorary degree in 1939. 1939 was also the year Samuel and his sisters contributed generously for the building of additions to double the capacity of Houston Hall, the student union originally made possible by their father. Samuel Houston was notable for his frequent large contributions to the University of Pennsylvania, and also for his leadership of fundraising campaigns. Samuel Frederic Houston married Edith Atlee, the daughter of Samuel Fisher Corlies. They resided at Brinkwood, their estate in Philadelphia’s Chestnut Hill, built in 1887 as a wedding present from Henry Houston for his son and daughter-in-law. The house was designed by the architectural firm of George W. and William D. Hewitt. After the deaths of both his wife and his father in 1895, Samuel Houston closed Brinkwood and moved with his son and two daughters to Druim Moir, the nearby estate of his mother. Samuel remarried in 1902 to Mrs. Charlotte Harding (Shepherd) Brown; together they had one daughter, Eleanor. Samuel’s only son, Henry Howard Houston II, was born in 1895; immediately after graduating from Penn in 1916, young Henry served with the army in Mexico and then in France. He died in the second battle of the Marne, on August 18, 1918. Samuel Frederic Houston died at his home in Chestnut Hill on May 2, 1952.